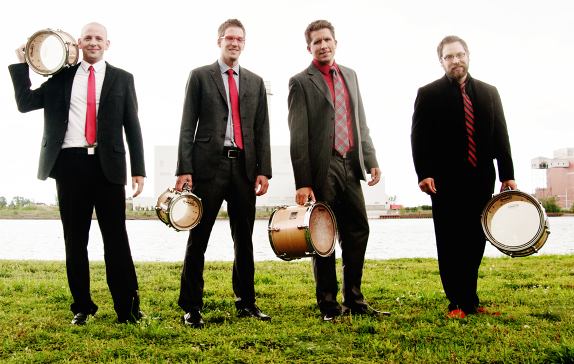 The Toronto Percussion Quartet, TorQ, will be performing at the LOH on Friday, June 23 at 7:00 pm as part of their residency at LAMP. They will be joined by participants of the TorQ percussion seminar held at LAMP from June 18 to 24. For more information and tickets please call LAMP at 902 634 8667. Tickets also available at Shop on the Corner and at the LOH one hour before the performance on the 23rd of June. Tickets $40.00, $12.00 for university and NSCC students and NSCAD residents. 20 free tickets for under 18s.